Whether you’re buying or renting a place, you’ll need somewhere to stay once your move is complete. A local real estate agent is a great resource as they’ll know the housing market in the area better than anyone else. If you’re opting for a rental property, the landlord or management company would be your point of contact. The faster you can find a place to live, the more time you can spend preparing for your big move. From boxes to bubble wrap to the costs of hiring a moving crew, moving expenses can pile up quickly if you aren’t careful. Take the time to set your budget for moving. What’s an appropriate amount you’re willing to spend? Check out our cheap moving supplies shopping list for ideas on how to stay organized and save a few dollars, and read up on our favorite moving hacks while you’re at it. Moving is a stressful event, and even more so when you add kids and pets into the mix. For your furry friends, be sure your vet knows about your upcoming move so you can take your pet’s medical records and any prescriptions with you. They may even have a recommendation for a vet in your new location—all you have to do is ask. When it comes to preparing your kids for a move, planning ahead and communicating is key. Let them ask questions about why they’re moving, give them space to process their emotions about the upcoming transition, and pack their treasured items with care. Once you’ve settled on what belongings are moving with you to a new state, you’ll need to secure reputable movers who will handle your stuff with care as you make the long journey. Ask family, friends and neighbors for feedback on the companies they’ve used - both good and bad experiences! Have you done my kind of move before? How long do you expect my move to take? Do you subcontract your moves/Will you or someone else be delivering my items? You can research your potential movers on the Federal Motor Carrier Safety Administration's website, and check out our tips on protecting yourself from moving scams. No matter how carefully you pack your items or how well the movers handle your stuff, accidents can still happen. You may want to consider moving insurance as an added layer of protection and peace of mind for a long-distance move. Make sure you notify the USPS of your change of address several weeks before it is time to move. If you need to open a P.O. box in your new city first, be sure to do that before asking the postal service to forward your mail. Don’t forget to inform your friends and loved ones as well, so you don’t miss out on any Christmas cards. Get a handy list of parties you may need to notify, a timeline and more change of address tips here. After establishing residency in your new state, you will have a limited timeframe to ensure that your driver’s license and vehicle registration are updated - if you are planning to drive in your new location, that is! Visit your local department of motor vehicles office to learn more. This is also a good opportunity to review your auto insurance coverage, make any adjustments based on how frequently you’ll be driving in your new location and obtain quotes from other companies if need be. If you’re opting to drive your car when moving out of state, making sure your car is in tip-top shape for the journey will give you one less thing to worry about. Keep your most important documents with you when you move, rather than putting another box on the moving truck. You can buy a file box or upgrade to a lock box that is both water and fireproof. Another helpful tip is take photo copies of your most sensitive documents and back up these photos to a removable flash drive/external hard drive or a secure cloud-based service. Make sure you notify your new utility company of your upcoming move to ensure the electricity and/or natural gas is turned on when you arrive. You can get the utility info from your real estate agent or future landlord. 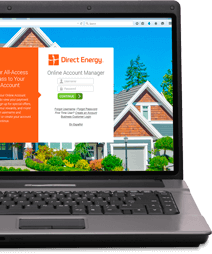 In many cities and states, you have the power to decide who your energy supplier is and are not limited to the services the local utility provides. While you’re at it, make sure your current utility company is given ample notice so they can process your disconnect request. You don’t want to get stuck with unnecessary late fees and disconnection charges. Moving out of state can seem overwhelming, but ample planning and lead time will lighten the load. We hope these tips will help you as you prepare for your out-of-state move!